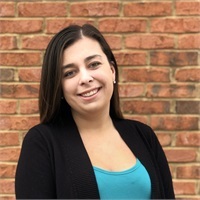 Kara Robertson | Cumberland Financial Group, Inc.
Kara joined Cumberland Financial Group in December of 2017. She grew up in North Georgia where she graduated from Etowah High School as a Student-Athlete. She has over 3 years of experience in the Financial Industry and more than 5 years in Administrative experience. She married her husband Nick in September of 2017 and they now live in Dallas with their 2 labs, Chevi and Buzz. She enjoys spending her summers and any free time at Lake Lanier with her family.